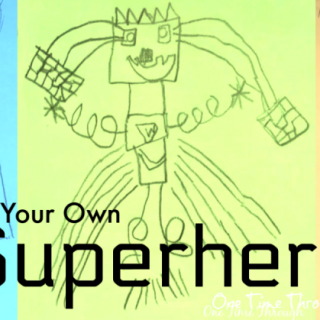 You are here: Home / Parenting / Disciplining Kids: Why Rewards Don’t Work! 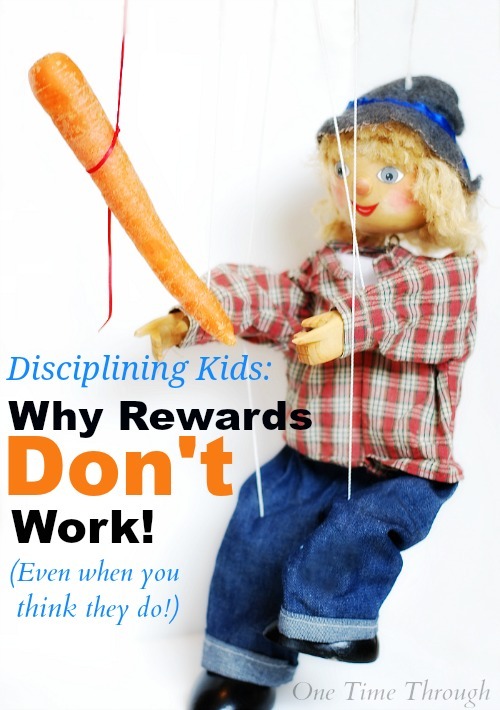 Disciplining Kids: Why Rewards Don’t Work! 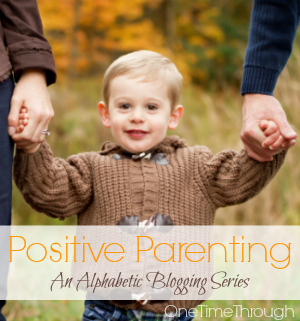 Welcome to the third week of our Positive Parenting alphabetic blogging series! Today’s topic is D is for Discipline. It’s a very complex issue and one that can’t be addressed within the space of just one post. As such, I’ve decided to split this topic up over 4 separate weeks. 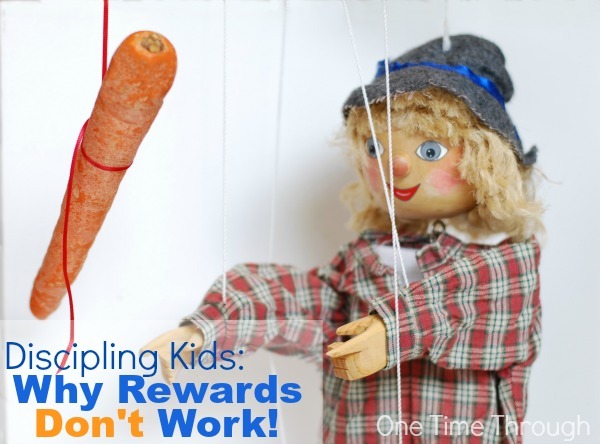 Today, we will look at why rewards don’t work (even when you think they do!). Next week, we’ll tackle the more controversial flipside of why punishments don’t work. There are real reasons backed by research that explain why positive parenting approaches usually avoid the use of both of these consequences. In the third week, we will look at the most important aspect of positive discipline – teaching. And in the fourth week, we will look more closely at the different components of discipline from a positive parenting approach. 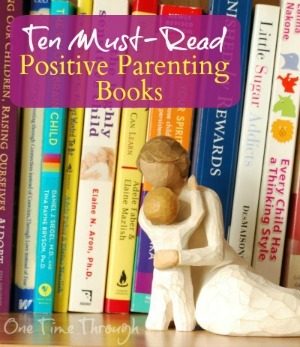 Before we talk any more about today’s topic, if you haven’t already, you might be interested in reading more about Positive Parenting – the approach that this series is based on. 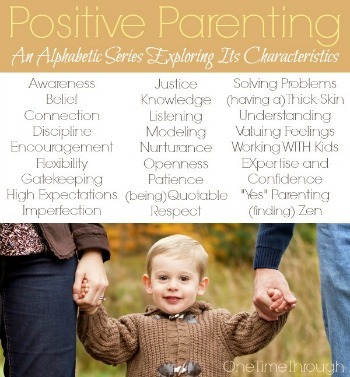 My goal for this series is to share some of the skills and knowledge that are a part of the positive parenting approach, examples of how you can use them, and personal experiences and reflections. You can read more about me and my background here if you like. 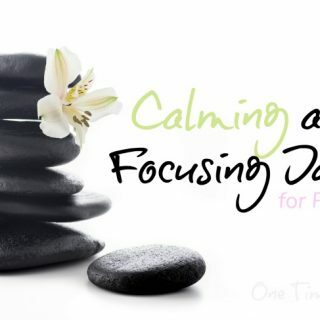 Unfortunately, often when we hear the word discipline, what comes to mind are punishments like time-outs, physical punishments like spanking, withdrawal of privileges or other negative consequences. And sometimes, we might also think about the more positive flipside too – giving rewards. As a child behaviour therapist who worked with autistic preschoolers as well as brain injured teenagers with sometimes violent behaviours, I was extensively trained in how to observe behaviour, and then dole out the appropriate consequences – whether positive or negative. The hope was always to positively shape and change how that child behaved for the long term. 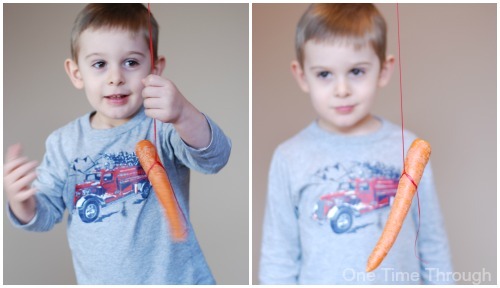 With the little ones, we relied on heaps of verbal praise, lots of positive “reinforcers” like toys and fun activities, and even food rewards like giving out Smarties for positive behaviours. 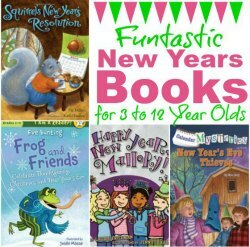 As an elementary teacher, teaching students with less extreme behaviours, I used complicated reward systems with bonus coupons that could be cashed in for rewards and privileges, praise, verbal reprimands at times, and sometimes resorted to the school version of time-outs – sending a child to the principal’s office. As you can see, I have lots of experience applying rewards and punishments to kids of many ages and different needs. And you know what? It never worked. 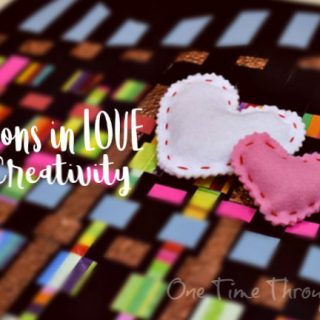 Onetime did not want to be my photographic subject for this post – as you can tell! And so – the scarecrow puppet! With the little ones, which got lots of positive reinforcement and rewards, often the positive behaviours would increase. My little preschoolers with autism would start behaving in ways that looked more like the average child – and parents were thrilled. However, then the question arose…do we (or the parents) have to keep giving them Smarties (or other rewards) for life? How can we wean these kids off of the rewards, so they keep behaving how we would like them to by themselves? With older brain injured teens, after they had become accustomed to being rewarded for positive behaviours, you couldn’t stop. They just wouldn’t do anything positive unless they were rewarded. And with average-functioning kids, in a school setting, once I had established a reward system of some kind for certain behaviours (like getting a bonus coupon for handing in homework on time), the kids became non-motivated to do those things AND OTHER THINGS unless they were promised a reward. For example, I clearly remember kids starting to ask things like “Can I get a bonus coupon for sweeping the classroom too?” when they used to sweep just for fun! I couldn’t really blame the kids. Kids are smart, and in all cases, they realized (whether consciously or unconsciously) that they could try to manipulate the system to get more rewards. Wouldn’t you do the same? So – what’s the problem with this? Well – I think it’s important to ask WHY the kids were “behaving” instead of just being happy that there were more positive behaviours and being somewhat annoyed by the kids starting to ask for more and more rewards. The problem is – that the kids in all three cases, became dependent on the external rewards, and less motivated within themselves (intrinsically), to act positively. Did you read that last point? Really read it? 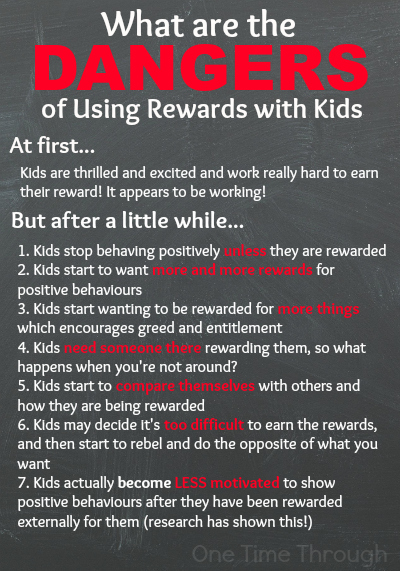 You mean rewards can actually de-motivate kids? You bet. When I learned this for the first time – it was a slap in the face I can tell you. Don’t we really want them to demonstrate positive behaviours because it’s either the right thing to do, or because those behaviours will benefit them socially in the long run? Don’t we really want our kids to share, listen, cooperate, be thankful and respectful because these behaviours will help them gain friends and get along better with others (not to mention make parenting easier!)? If we are rewarding our kids for these kinds of things, are we robbing them of the opportunity to experience what it feels like INSIDE or naturally when they exhibit these behaviours? 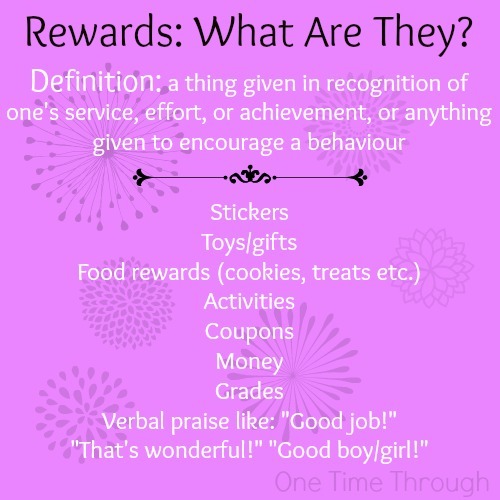 Even using rewards with behaviours that it may seem harmless to do so – because there are no or little social ramifications – like potty training, or getting a child to clean his/her room, or to get to school on time, can backfire and lead to the problems I listed above. And I have to wonder as well, whether rewarding kids impacts their future self-esteem. If kids are behaving in certain ways to appease others (parents or teachers), aren’t they less likely to attribute their own positive decisions, choices and actions to themselves then? How could that not rob them of the chance to feel really good about themselves? In the end, it all comes down to what we want for our kids in the long run. In my family, we have made a highly conscious decision to avoid using rewards. In my opinion, the potential benefits are few, and tend to be short-term, and the downsides are just too expensive if they come at the cost of my child’s sense of self, development of morality, self-esteem, or feelings of competency. As you can see, I feel very strongly about this topic. It’s my hope that if you haven’t heard about this negative side of rewards, that I’ve given you something to think about at least! If you’re interested in this topic and want to learn more and read some of the supporting research, I would strongly recommend reading either of Alfie Kohn’s books, Unconditional Parenting: Moving from Rewards and Punishments to Love and Reason or Punished by Rewards: The Trouble with Gold Stars, Incentive Plans, A’s, Praise, and Other Bribes . I couldn’t disagree with you more about small tangible and verbal rewards! While I respect your opinion, I think this is an extreme point of view without balance and a lost opportunity to teach the deeper meaning of why we do the things we do, and to what end. No one does anything without reward in life. We universally seek happiness, and that’s found in various forms of reward that can also part of personal achievement, even in a paycheck, applause or an award. Rewards don’t have to be shallow or meaningless, that’s the part you’re supposed to teach a child; to recognize the difference between reward for reward’s sake, and reward as part of goals, dreams, and achievement. It’s something we all struggle with as adults with bills to pay, finding a job that rewards our souls or our pockets, and wishing we didn’t have to choose between the two. We climb a mountain to get to the top. Hopefully we enjoy the way up, but the top is where the ultimate self-gratification is, because it’s the pinnacle of our ability, both mentally and physically. The reward could be putting a flag or other marker up, receiving a prize, or taking a souvenir pebble or leaf, but those are just symbols. I’m the maker of (name of product was removed by One Time Through to prevent advertising – writer referred to a potty training product) that has been endorsed by moms including a pediatric psychologist, a pediatrician, a behavioral therapist, and several teachers. We don’t suggest rewarding to bribe, we reward to recognize achievement and mark progress. 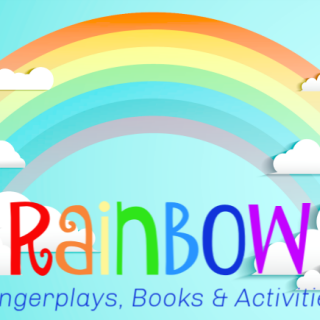 Children receive our reusable static cling stickers to play the game, which self-motivates and challenges them as they learn. They aren’t puppies that can’t be reasoned with and have to be given treats to perform tricks. It’s incredibly satisfying for a child to receive a small token that allows them to see and track their accomplishments. It’s also a way to make a chore fun, and we like that philosophy in day-to-day life. When I was a girl in school, I loved getting a sticker on my exams when I did well. I didn’t try to pass the test for the sticker or to please my teacher, I did it because when I did well, I was proud of myself. But, the sticker and my smiling teacher were bonuses that made life more happy. We’re part of a society, part of the human race, and we seek response from people. If I was on a deserted island and accomplished something all by myself, I’d feel good about it, but without anyone to recognize it, it wouldn’t be as fun. Life should be fun….and rewarding. Thanks so much for dropping by Megan and for taking the time to comment. I know it’s a controversial topic and there are a lot of people that would disagree with me – including yourself. Our culture as a whole is very geared towards thinking of children through the “behaviourist” perspective with rewards and sometimes punishment being seen as effective ways to change kids’ behaviour. I know – I used to be a behaviour therapist! Sometimes it’s hard to think in a different way. I feel I should clarify my viewpoint on a few things that you mentioned though. I also believe that life should be fun and rewarding…I think our definitions of “rewarding” differ though. In my opinion, true happiness is found in our connections to other people and our community, and from doing things that are intrinsically rewarding to us (without needing the applause of others). When it comes to motivating children to behave positively or to do things they don’t want to do, I believe the best way to do that is a combination of being playful and using positive feedback. You are certainly right about kids (and adults!) seeking response from others, but there are meaningful and authentic ways to provide this without having to resort to tangible rewards or praise that is given as approval (or not given – which shows disapproval). Most positive parenting authors and experts appear to agree that it is the INTENT behind the “reward” that is important. 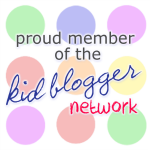 If a reward is given with the purpose of changing or manipulating a child’s behaviour, or if it is given with a focus on whether the child has pleased the adult, then there is a negative side to those rewards as I explained in my post. The great news is that there are ways to give kids positive feedback that help them see their accomplishments and help them feel proud of themselves, without needing to resort to praise or anything tangible. Recognition, appreciation, acknowledgements of effort and growth (as opposed to achievement), and encouragement all provide connection and help kids focus on the internal or intrinsic rewards of their accomplishments – places where I believe true happiness and satisfaction are found in life. 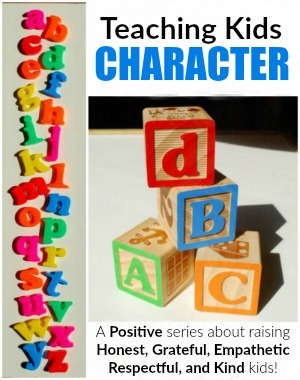 I will be writing further about these positive strategies in my upcoming post in this series: E is for Encouragement. 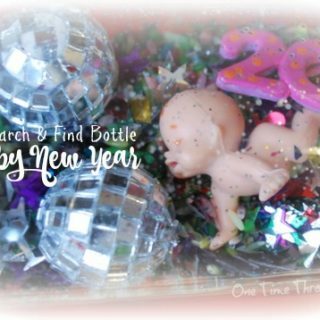 I also highly recommend reading this post from The Natural Child Project (http://www.naturalchild.org/robin_grille/rewards_praise.html) which further describes the difficulties with praise and tangible rewards, along with reviews of some of the studies done in this area. Thanks again for dropping by One Time Through!